An asphalt reclaimer is essential for recycling asphalt turn up from the parking lot or road, especially when cutting and replacing patches. The reclaimer is also useful for repairing subsurface asphalt in various engineering projects. It is crucial to purchase or hire a reclaimer that is well designed for small and medium sized patching works. It is vital to choose a reclaimer that has a compact design that can operate efficiently in many areas including small parking lots. A modern asphalt reclaimer should be fully insulated to keep the heated material hot for a long time. It should also feature an Automatic Temperature Control. Quality reclaimers are heated from propane fuel sources allowing you to change on the job site with much ease instead of having to stop to refuel. A compact asphalt reclaimer like the RENOVA weighs approximately 1500 pounds when empty with a full holding capacity of two tons of material. Therefore, it is convenient to haul around with your truck. The ground crews also find it easy to use and versatile. The hopper needs to be uniquely designed to utilize a gravity feed and offers easy access to the material. The system should also be fully insulated. Un-insulated reclaimers cannot keep the material hot for a long time. Inexpensive reclaimers are usually not insulated. Always ensure your machine is fully insulated before purchasing it. The modern asphalt reclaimers come with optimum strength because they are built using sixteen gauge outer walls and twelve gauge inner walls, all with continuous welds. All the four corners should be reinforced and capped. Seven gauge floor plate containing fork lifting pockets should also be included to make it easier to lift and remove the machine from the vehicle. The asphalt reclaimer should also be designed to make loading from an asphalt plant easy. It should have double and heavy duty door lids that can swing open fully. The duct system needs to be designed to utilize 105,000 BTU propane vapor burner system and maintain an even hopper temperature. The system should also incorporate fittings, regulator, and propane hoses for the bottle. When reclaiming asphalt in small areas, a bigger asphalt box should be used together with the asphalt reclaimer. Most professional contractors have learned that it is vital to look for materials that are environmentally friendly. Revitalizing some component portions to be utilized in new pavements and reclaiming old asphalt pavement is one of the surest ways of realizing such goal. 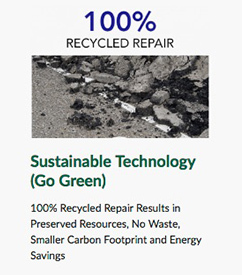 Using technologies that can save energy and follow best practices for recycling asphalt are some of the measures being employed by expert contractors. Past studies from FHA and EPA show that asphalt was the leading recycled material in America a couple of years ago. Asphalt pavements now include slag, pig manure, foundry, ground tire rubber, and glass. The materials are mostly utilized to manufacture Recycled Asphalt Shingles (RAS) and Reclaimed Asphalt Pavement (RAP).Several cubic meters of space can be saved each year if many asphalt pavements would be constructed using the recycled material. 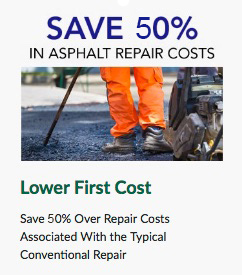 Therefore, buying an asphalt reclaimer is necessary. When RAS and RAP are employed to make new pavement mixtures, they help in activating the liquid asphalt binder that is included in your recycled materials. The need for new asphalt binders is also substantially minimized. The demand for additional aggregate material can be reduced if recycled materials are used by expert contractors. Modern technologies can efficiently produce asphalt at lower temperatures, significantly reducing the energy demand. Reduced emissions will also be recorded during the period of paving and production. 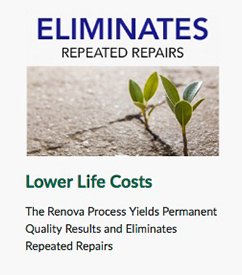 In summary, investing in a high-quality asphalt reclaimer is a wise decision. We offer the best reclaimers at the most competitive prices. Contact us anytime for the best deals.